There be dragons! While not long ago American female skimo racers were as rare as dragons, history is now changing into the present. 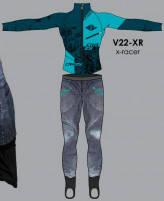 And in the very near future, you will be wearing this Ski Trab Dragon Suit and racing up and down mountains like there wer..
An update to the venerable Spectre boots is more than just color. But not much more. 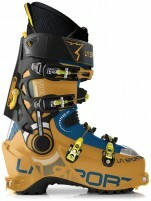 La Sportiva stiffened the boots by around 5% with strengthening ribs in the lower shell below the cuff. The impressive walk mode (for 4 buckle boots) stays the same and y..
Picture says it all. Finally, a suit manly enough for men. 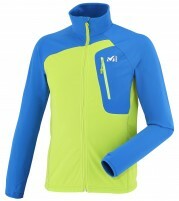 This men’s skimo racing suit has a manly theme that highlights the fact that you are male. Can be worn by women. Flannel & jeans look is perfect for lumber-sexuals and Canadians. Two-p.. The Contour Race skins have a 100% mohair plush that is optimized for durability and speed. The special length hairs are carefully spaced on a tough backing that outlasts the competition. Put the number of centimeters you’d like in the Qty field and we wi..
After proving the ION could handle abuse by aggressive skiers on big skis, G3 has now introduced a version with release values more appropriate for average folk. The ION 10 is essentially the same award-winning platform as the original version, but tuned ..
Purpose-built for alpinism, the Grivel North Machine ice-tool is a dream come true for ski-alpinists. 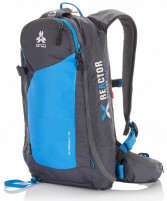 And that’s not just because of the extremely lightweight-yet-durable construction. The geometry of the shaft curvature increases pick clearance and usabi..
Strong athletes from around the globe are flocking to skimo racing as a winter pursuit, which means that the specialized gear can become even more specialized. Higher levels of competition necessitate higher levels of performance. The Gara Aero Sprint ski.. 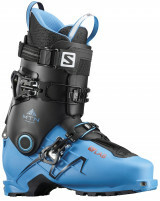 Ski Trab has introduced a women’s version of the Gara Aero World Cup. It’s possible that while experimenting with various new flexes for the men’s version, they stumbled upon the perfect flex for female racers. But more likely, Trab knew what they were do.. The Gara Aero World Cup race ski is the pinnacle of Ski Trab research and development. Using the new Attivo production process, the Gara (Italian for Race) Aero WC consists of 14 layers of lightweight technology. A Hibox 3k carbon fiber filament encases s..
Named after the “Tour de France of Skimo”, the Pierra Ment’ racing suit is designed to win it. Ergonomically cut with a stretchy nylon / elastane blend, the abrasion-resistant suit features an open-mesh back for maximum ventilation. It’s also the only sui.. Ultimate Direction is not afraid to think outside the box. Borrowing technology from award-winning running vests and fastpacking gear, UD now makes ski packs that let you move fluidly. But the Adventure Vest is much more than a big running vest with a ski..
Voile believes in equal opportunity skiing. Therefore, it’s no surprise that a female-specific version of the Wasatch Speed Project has come to fruition. Although the prototypes were pink, we applaud the decision to make the production WSG green. Either w.. Imagine if you applied the solid lightweight construction and easy skiing rockered tips of Voile skis to an ultralight size geared for skimo racing and speed touring. Well that’s just what Voile did when they started the Wasatch Speed Project. The resulti..
A Vertical skimo race is very simple: first one to the top wins. No transitions, no skiing. This is a racing classification designed to figure out who is the fittest alpine athlete that knows how to skin uphill. Although not many such races are held state..
G3 is quietly gaining some impressive expertise with tech bindings. After experiencing moderate success with the uniquely designed Onyx and Ruby bindings, G3 has decided to focus on improving a more familiar design. And improve it they did, with many subt..
La Sportiva tried selling racing suits in North America a few years ago. Unfortunately the suits were too awesome for the nascent local market, which couldn’t stomach the nearly $600 price tag. Not a company that accepts failure, La Sportiva has managed t..
Naming note: according to Atomic’s ski-naming department, this ski is still the Backland UL 65. As far as the ski and its performance characteristics are concerned, however, this is a very different ski than the original in all the best ways. In order to ..
For veteran manufacturers like Fischer, it’s becoming pretty easy to build a race ski that’s below the minimum weight allowed by the ISMF. Since weights cannot get any lower, durability and downhill performance are in focus. The AlpAttack Carbon is an exc.. 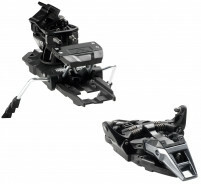 Although limited in boot compatibility*, the TR-2 binding is not limited in features and performance. 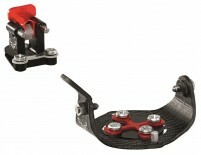 Ski Trab developed a unique heel design that uses downward pressure to maximize steering precision. It also lets you change from ski-mode to walk-mode wi..
Building on the extensive engineering of the Vipec, the recipient of a Gold ISPO Award, Fritschi hath revealed the Tecton. 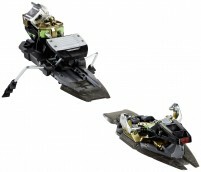 It is instantly the new standard in the category of “alpine-like” tech bindings. It is the only tech binding to pair lateral-release..
Not all airbags are created equally. Ideally, if you were to remove the airbag system from the pack, it would still be one that you enjoy skiing with. 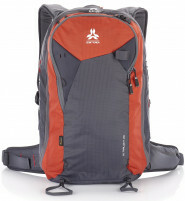 In the case of the ARVA R15 Ultralight, the excellent pack layout leaves little to be desired. The ultra.. 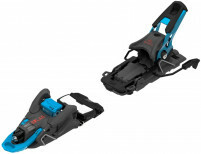 The striding efficiency of tech bindings is a requirement for those who have tried them. But there is a class of skier that demands zero compromise on downhill ski performance or release safety. If that sounds like you, Atomic (together with Salomon) has .. Whether you are a wisened backcountry skier or a fresh greenhorn right out of your Level 1, you can appreciate a good airbag. They are a useful tool when paired with judgement, terrain management, and objective decision making. The ARVA Reactor Ultralight.. If you have one Crazy Idea pant, you want them all. The Sideral is another comfortable touring and general mountain pant to add to your collection. The breathable Crazy Endurance fabric is hard-wearing enough for regular use while repelling dirt and water.. The Sideral pant for women is a comfortable all-around mountain pant that you will want to ski in every day. Made with Crazy Endurance fabric that is stretchy and breathable, the Sideral pants are great for earning your turns. 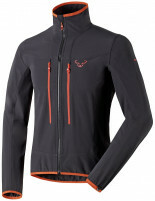 The fit is athletic and you ..
A new minimalist jacket in the Pierra Ment’ line from Millet. The Speed version is a soft Vueltex® Knit like the others, but in a trimmer X-Fit cut and a lighter overall package. The thumbhole cuffs and non-slip gripper elastic in the hem hold the jacket .. The Viper is Crazy Idea’s Goldilocks mountain pant. Not too snug, not too baggy, it’s just right. Not too much fuzzy backing inside for spring skiing, just enough to keep you warm in the winter. The waist itself is elastic and has an elastic drawstring go..